Putting together the newest temporary exhibit Ordinary People, Extraordinary Actions: The Underground Railroad in St. Charles took months of new research. Our revamped digital archives gave us an advantage in finding new stories and connecting dots that were unable to be found ten years ago. Researching the Underground Railroad can be incredibly frustrating at times, as we often run into dead ends due to the scarcity and secrecy of sources. The abolitionist movement was a dangerous cause to stand with, especially to those that were actively helping escaped slaves. Leaving behind evidence of abolitionist activity could have been deadly back then, and now makes research and finding the cold hard truth difficult. When studying the Underground Railroad, vocabulary is important. Underground Railroad does not literally mean it was a railroad underground, but rather a network of secret connections throughout the North to help those seeking freedom. Knowing the difference between being anti-slavery, an abolitionist, and a radical abolitionist is the most important difference in definitions. Over the years, it has become common for the terms anti-slavery and abolitionist to become interchangeable, but they definitely are not. Though they could seem similar with agreeing that slavery was a moral wrong, abolitionists took their beliefs and actions a step further. Anti-Slavery: agreed that slavery should end, but often did not agree about why, how, or when slaves should be liberated. Saw slavery as a moral wrong and did not the institution of slavery to spread, but also did not want their neighbors to be free people of color. Abolitionists: also agreed slavery should end but believed it should end immediately; actively spoke out about slavery and would actively try to help end it. Radical abolitionists: believed in racial equality; immediate freedom of the slaves with no limits; and also believed that colonization of Africa was unjust. 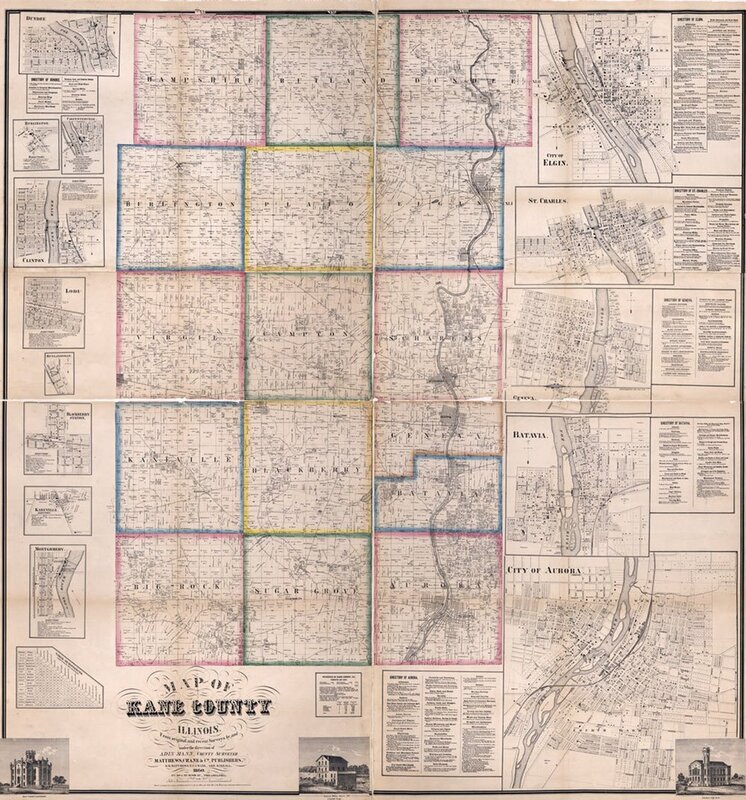 As part of our research for the new exhibit, we looked more closely at some of the members of the Kane County Anti-Slavery Society that have been called abolitionists and had local folklore attached to their name. We found evidence that Dr. Anson Root of Elgin did indeed aid in the Caroline Quarlls escape. Allan Pinkerton, who was said to also have assisted in the escape, was not found in the story written by the man who helped Quarlls escape.1 Another member of the KCASS, Volentine Randall, was a known abolitionist and helped form the Kane County Anti-Slavery Society and was sworn in as Vice-President of the organization in July of 1842. In Samuel Durant’s History of St. Charles, he describes Randall as helping many escaped slaves from his home on 3rd street. There is strong evidence that Randall’s home could have been part of the Underground Railroad, but again, there is no official documentation to be able to positively say if it was. Popular local belief also suggests that General John F. Farnsworth was an ardent abolitionist as well as a member of the Kane County Anti-Slavery Society. While it could be true that at some point Farnsworth could have been a member of the KCASS, we have no proof of it. The museum has the list of members from 1842, on which Farnsworth is not listed, but we know that the group continued until at least 1845. It is possible that maybe he joined in later years after he settled in St. Charles, however there is no evidence to prove that he did so. 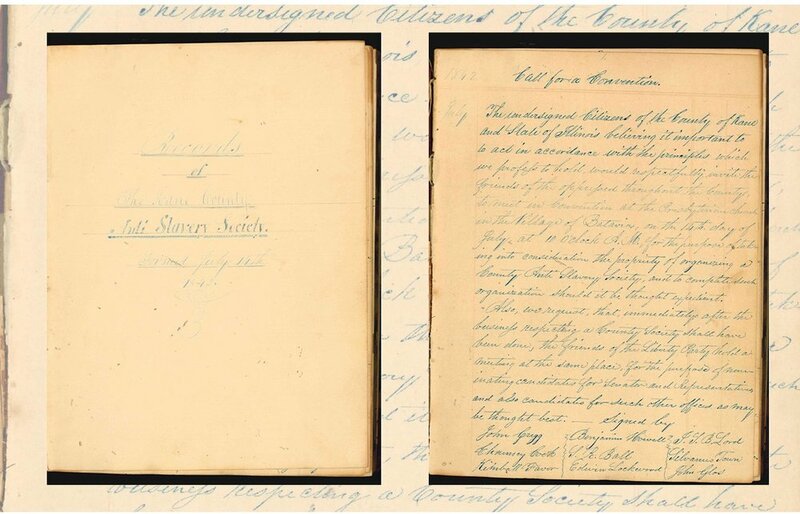 The inside pages of the Kane County Anti Slavery Society’s record book in our collection, one of the most valuable tools in researching information about Farnsworth and other local figures sympathetic to the freedom-seeking cause. John Franklin Farnsworth moved to St. Charles, IL in 1845, keeping his law practice in Chicago, and opening another one in St. Charles. One year later, he left the Democratic party and joined the Republican party, and in 1856 was elected to Congress. It is unclear exactly when, but within these years Farnsworth and Abraham Lincoln became close friends, and Farnsworth backed Lincoln’s nomination for the presidency and even predicted his victory in the 1860 presidential election. Correspondence between Representative Farnsworth and President Lincoln were key to uncovering each man’s feelings about the issues surrounding the morality of slavery. Another instance where it may have stemmed to call Farnsworth an ardent abolitionist could be from the nickname that Lincoln supposedly gave the 8th Illinois Cavalry, “Farnsworth’s Big Abolitionist Regiment”. In Abner Hard’s book History of the Eighth Cavalry Regiment Illinois Volunteers, During the Great Rebellion, he explains how the nickname came about: “On arriving in front of the President’s mansion, known as the ‘White House,’ President Lincoln came out upon the piazza, when the regiment gave him three hearty cheers; and it is on this occasion, it is said, the President called us “Farnsworth’s Big Abolition Regiment.”4 However, it seems even Hard sounds like he is not sure if Lincoln had even said this, and according to the story told by Hard President Lincoln was the only person mentioned to be standing on his piazza. Is it fair to call Lincoln an abolitionist? Probably not in his early political years, and many historians have argued that his change in views during his presidency were more politically motivated. Lincoln knew that the institution of slavery was on some level sanctioned by the Constitution, which would make immediate emancipation difficult to achieve. While he believed slavery was morally wrong, he did not believe in equality of the races, but as his presidency continued throughout the Civil War, his views began to change. In 1862 he delivered his famous Emancipation Proclamation, which was basically a military strategy. Lincoln learned that many slaves were escaping plantations to Union lines in order to fight. In an effort to keep the Union and stop the seceding Southern states, Lincoln’s Emancipation freed slaves in southern states if they fought for the Union army. Not all the slaves were freed though, as it did not apply to bordering slave states like Delaware, Maryland, Kentucky, and Missouri. Between switching parties and Douglas’ accusations it had become common to call Farnsworth an ardent abolitionist. However, from the definitions and Farnsworth’s own words, calling him an ardent abolitionist would be incorrect and an insult. During that time period (1830-1865), being called an abolitionist publicly was considered an insult as the term was often associated with the radical abolitionists and did not bode well for someone’s public image. Public figures like Farnsworth and Lincoln would not want such a term associated with them or their businesses. Associated with the claims that Farnsworth was an abolitionist, there is also folklore that his mansion, which was located in what is the View Pointe Subdivision today, was part of the Underground Railroad. There are more reasons as to why this claim is false than true. With the mansion being built in 1860, it would have been difficult to aid escaped slaves in a construction zone, and during that time Farnsworth was helping Lincoln with his presidential campaign. Additionally, it would have been difficult for Farnsworth to act as a “conductor” or for his home to be a “station” because, in 1861, Farnsworth was organizing Camp Kane as a training camp for the 8th Illinois Cavalry. Farnsworth and the 8th Illinois mustered out for service in October of 1861 and in November of 1862, Colonel Farnsworth was promoted to Brigadier-General. 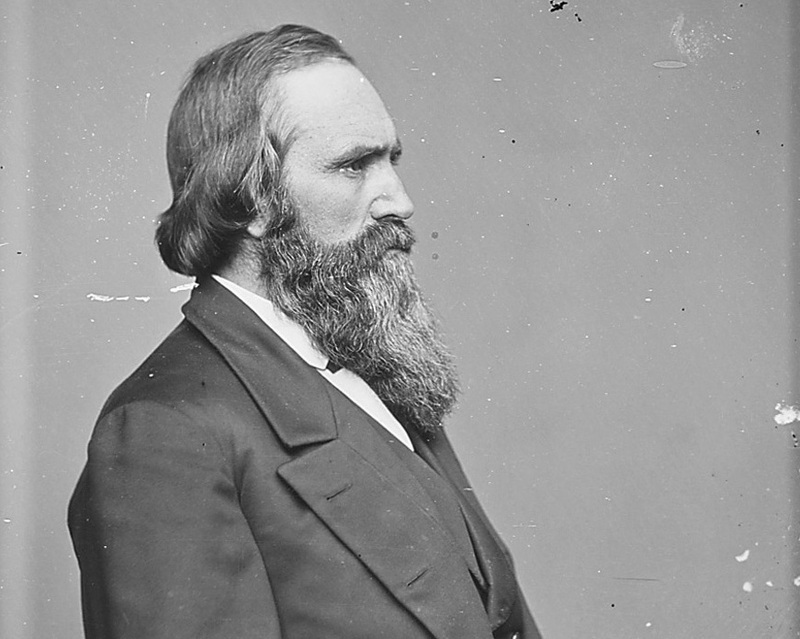 He resigned from the service in 1863 following a leg injury and went back to serve in Congress until 1872. When the mansion was converted into the Mount St. Mary Academy in 1907, more buildings were constructed on the grounds to accommodate the growing student body and soon the dormitories were constructed. Tunnels were discovered between the school and the mansion by Mt. St. Mary academy students, which has added to the confusion of the home’s involvement in the Underground Railroad. However, more than likely the tunnels were added when the mansion was taken over and turned into a school to allow the nuns to walk between the mansion and the school without having to brave the outdoor elements. Speculation seems to have taken on a life of its own as popular history or folklore but unfortunately, there is no concrete evidence to support the claim that the Farnsworth mansion was a stop on the Underground Railroad or that Farnsworth was an ardent abolitionist. He did believe that slavery was wrong and would not vote another slave state in, however that was as far as his actions went. His letters and his speeches exhibit anti-slavery sympathies and while his feelings may have gone deeper, we may never truly know. Lincoln, Abraham. 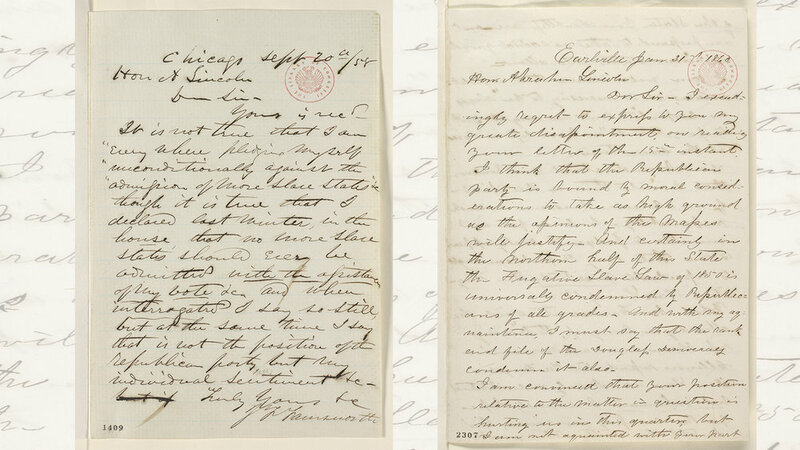 Abraham Lincoln papers: Series 1. General Correspondence. 1833 to 1916: John F. Farnsworth to Abraham Lincoln, Monday, Senate. 1858. Manuscript/Mixed Material. https://www.loc.gov/item/mal0140900/. Farnsworth, John F. Birney Anti-Slavery Collection: Speech of Hon. J.F. Farnsworth, of Illinois. 1859. The Johns Hopkins University Sheridan Libraries. https://archive.org/details/speechofhonjffar00farn/page/1. Pages 6-8. Hard, Abner. History of the Eighth Cavalry Regiment Illinois Volunteers, During the Great Rebellion (Dayton, OH: Morningside Bookshop, 1996), 42. Lincoln, Abraham. Abraham Lincoln papers: Series 1. General Correspondence. 1833 to 1916: Alonzo J. Grover to Abraham Lincoln, Tuesday. 1860. Manuscript/Mixed Material. https://www.loc.gov/item/mal0230700.